Picking a wedding date can have its unfair share of challenges. When The Fetching Mrs. Wall and I got married (20 years ago! ), we chose February 19th. No particular reason, but over time, we noticed how snug it was to Valentine’s Day. Not bad, mind you, but we’d exchange cards for Valentine’s Day, only to turn right around and do it again for our anniversary! This got me to thinking about the impact of booking weddings on or near holidays, which is relevant since we’re in the early part of the year. Holiday weekend weddings have ups and downs. Yes, you’ve got an extra day for the celebrations (and recovery!). Also, a Sunday wedding is often less expensive than one on a Saturday. However, costs of travel and hotels may be higher. And remember what I said about Valentine’s Day! Be mindful of your floral bill, especially if your choices are centered on red roses — they’ll likely be more expensive than at any other time of the year. In the case of reception locations, trying to book a venue for New Year’s will—no doubt—command a premium. Lastly, think of the impact of a holiday wedding on your guests—especially those farther than driving distance away (see earlier comment). Air travel and hotel accommodations will be more expensive and availability may not be as abundant. And as a practical matter, some families may just have standing plans or traditions that they’d prefer not to miss. That said, here are a few holidays to think about. If you want to find the exact date(s) for a holiday, simply “Google” it. Thanks also to “Reverend Joe” of Savannah Georgia, for the comprehensive list. And may your wedding—whenever you plan it—be everything you want it to be…and more! Observation: Make sure your moms are okay sharing this weekend with your wedding. And ask yourself, do you want your anniversary to fall the same weekend as Mother’s Day when (or if) you become a mom? Also, flowers are very expensive that weekend. Observation: Like you would with your moms, check with your dads about doubling up on this day. And grooms, make sure you’re okay with celebrating your anniversary the same weekend as Father’s Day if you decide to have kids. Observation: Avoid it if you’re terrified that someone might actually show up in costume (OR…embrace it if you want them to!). Be mindful of religious and cultural holidays (your own and those of your guests) when planning your wedding. There may even be restrictions at your house of worship as to whether you’re allowed to marry at these times. If you’re die-hard sports fans — or if you’re worried your guests might have a hard time choosing between your wedding and the big game — avoid getting married during popular sporting events. And if a lot of your guests come from the same alma mater, watch out for homecoming weekends and bowl games that might conflict. If you’re superstitious, you might want to watch out for these historically inauspicious dates from across several cultures. For ancient Romans, an “ides” was simply a date that marked the middle of the month — until Julius Caesar was assassinated on March 15 in 44 B.C. Since then, “Beware the Ides of March” has become the mantra of this superstitiously unlucky date, though it must not have been a problem for my mom and dad, since this was their anniversary date!!! The unluckiest date of the year has questionable origins. Some historians say it comes from the 13 diners who were present at the last supper, but the famous Code of Hammurabi doesn’t include a 13th law, which suggests this superstition is as many as 3 millennia old. And it wasn’t until a successful novel titled Friday the Thirteenth was published in the early 1900s that Friday became part of the unlucky equation. Greeks and Romans thought that starting any new life event — from getting married to baptizing a child — in a leap year would bring bad luck. When I look back over the first year of First Impressions Video’s “official” existence, perhaps the one area that has surprised me most is memorial videography. Nearly half of all the projects I shot last year were memorials. And for some reason, this seems like an area that should not be tampered with out of respect for the deceased. Yet, it is because of respect for the deceased and concern for the living that video is becoming an increasingly important part of the grieving process. There are two reasons for this. First of all, there has been significant change taking place in the funeral industry overall. Mostly due to the rise of the Baby Boomer generation, contemporary thinking is to now personalize the funeral or memorial service. Add to that the rise in cremation, which allows for great latitude on the part of those planning services. No longer are you limited to a funeral home or a house of worship. Once cremation has taken place, the cremated remains can be released to the family, and they can do whatever they want without the involvement of a funeral director. Think of scattering ashes in the ocean, for example. The second factor is technical advances in the video industry. With the marriage of video and the computer, it has become possible to offer high-quality video in a relatively short time and at a reasonable cost. I’m sure this contributed to my sudden surge in memorial videos last year. I could shoot and turn them around relatively quickly, and the families have been profoundly appreciative of the service I provided. There are two distinct ways video can be used for memorial/funeral services: One way is the memorial tribute video. This is a video usually made up of about 30 to 50 photos—and can include short video clips—and lasts around five minutes. The key elements necessary for a compelling memorial tribute video are time, quality, and movement. Fast turnaround times are crucial; most of the tributes I do have to be completed within 24 to 48 hours. To control my schedule, I like to pick up the photos at the funeral home shortly after the family brings them in. If the funeral home is too far away, I ask the funeral director to scan the photos and send them to me using Google Drive, Dropbox or some other file sharing service. Once I have the photos I may do some modest retouching in my computer. My editing includes use of a “pan and scan” effect (sometimes called the “Ken Burns” effect) to put movement in the photos. This will provide a nice distinction from a more traditional slide show. The second way video is being used is in the recording of the service itself. 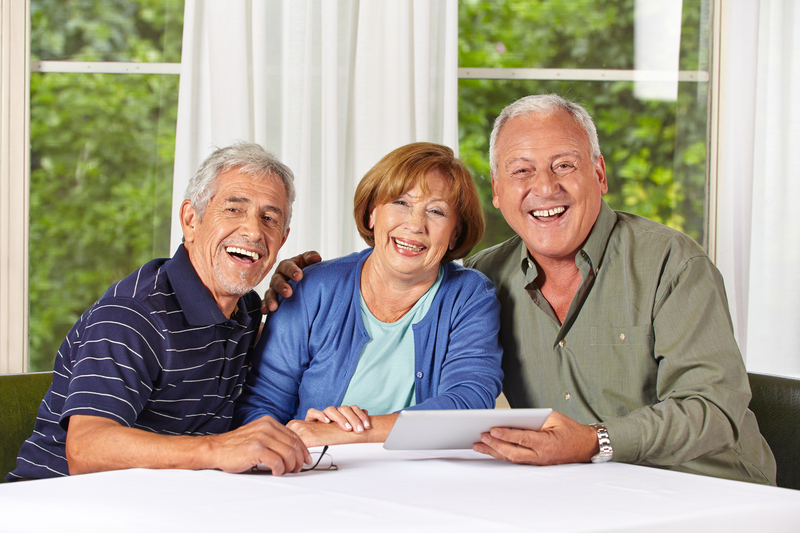 With the personalization of services and the stories that are often told about the deceased, it becomes a wonderful way to capture memories of an individual that will be treasured by those left behind. What’s more, with families being scattered, it is often hard to get everyone together for a service. A funeral or memorial service captured on video can easily be shared with loved ones anywhere in the world, which I recently did for a client who had family in Norway! For 2014, I am exploring streaming as yet another way to deliver the service to people at remote locations. Right now, the cost may make streaming prohibitive, but as pricing comes down (and it always does, where technology is involved), I will update this blog accordingly. This kind of videography requires great sensitivity as I am entering a space typically packed with emotion. Whereas weddings are by nature joyful events, memorials involve grieving family members and friends. I must be able to conduct myself unobtrusively so as not to intrude when people are often at their most vulnerable. I am honored to say that I have this gift, and if I can ever offer such a service to you, a friend or family member, I will take great care to show respect and dignity to the task to which you have entrusted me. Video — not just for the kids! “Older consumers are fully invested in digital media,” per Mark Bradbury from AARP. 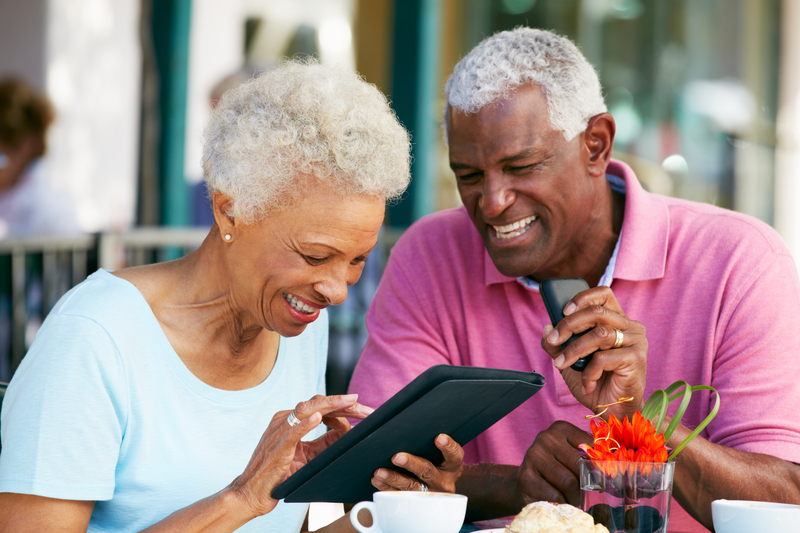 75% of Boomers and 68% of seniors take some kind of action after viewing a video. From a simple comment to actually purchasing something, they don’t just watch and leave. Over half (57%) were inspired to visit a retailer and 37% called a business or organization after watching a particular video. Search is one of the top two online activities, and a whopping 97% of both cite Facebook as their #1 most-used social networking site. The takeaway: Video is a viable tool to get your business found and every demographic uses it to find products and services! First Impressions Video is now listed on Wedding.com! Click the link to go there. and lots of other actions! Now, let’s address the “gorilla in the room,” the price. My “deliverables” can be tailored to meet virtually any budget, so don’t let your wedding video get away for the wrong reason! Hint: this is why I avoid “package” rates…I’d much rather build a rate around exactly what you need. And as for that 70% I mentioned at the beginning of this post: most of them said—afterwards—that it was a bad decision not to include a video! Don’t let that be you. 98% of newlyweds recommend that couples have their weddings videotaped, which means there are a lot people who wished they’d decided otherwise. Give a call and let’s see how we can make it happen for you—and add to the memories of this special day! OMG!! The proposal just happened, and you are to be congratulated on the wonderful event that will now take place in the not-too-distant future, as you express your mutual desires to spend the rest of your lives together! Now the work begins in earnest planning the wedding day. It may be a short engagement or a longer one, but you’ve probably envisioned it many times. Invitations must now be sent out and you’ll invite as many friends and family members as your budget will permit. Despite the fact that you may select a wedding planner, you will immediately start getting input from everyone regarding every (and I mean, every!) aspect of this special day. Flowers, music, food, location and so many others, you’ll get opinions that reflect age, backgrounds, experience, musical tastes…you name it. Just as important: while it might be tempting to simply have a friend shoot some of the more relevant parts of your wedding to save money, beware! These are lifetime memories being captured and do you really want to put that kind of pressure on a friend who is there to enjoy the event? What if, because they are having a little too much fun with other guests, they miss a crucial part of the ceremony or reception? For the same reason that you entrust lifelong memories to a still photographer, you should be equally willing to commit that same trust to a videographer. 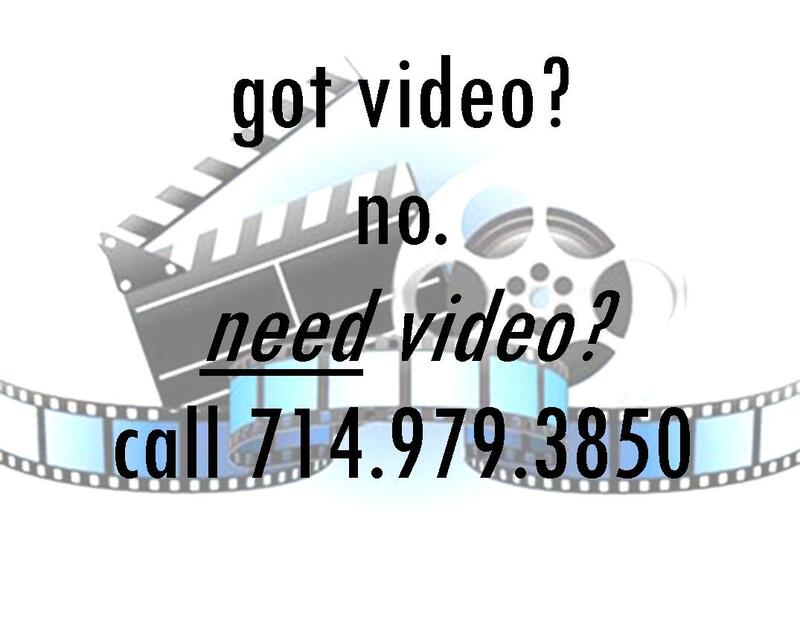 A professional videographer is there to not only record the events of the day; he or she is also charged with editing all the footage together into a well-constructed “movie,” so that years later, watching the video will bring back all the cherished memories, laughs, tears and emotions of your celebration. To enable this, the professional will have top level cameras, tripods, audio equipment, lighting (where appropriate) and computers for compiling and editing the raw footage and sound. Think back to a special time that you had in the past and ask yourself if you wish you’d had a video to help re-live it. This is one time you can plan on future memories, for one of the most important occasions in the life of the couple-to-be. Keep professional video in your wedding day plans, and enjoy those beautiful memories…forever!